Does Your Hotel Really Need a Website? With the rapid rise of Social Media, Web 2.0 and other distribution channels, hoteliers often develop their hotel presence on these channels at the expense of their own website. But having your own website is actually more vital now that it has ever been. Social media is great – so are the Online Travel Agents, review sites like TripAdvisor and even Google. All give hotels their own pages and brand exposure… sort of! Your page on Booking.com is not your brand. It is most definitely their brand with your product tucked into it along with piles of competition shouting out “a better price”, “a better deal”, “a bigger place” and so on. This is often done with very inappropriate comparison by the platform. You simple can’t rely on 3rd party sites to represent your brand well. It’s not their priority. The only place you can really control your brand and your message is on your own site. But since you are reading this, it means you probably know that already. What you might want to know next is how to properly position your website to represent your brand. Maybe you are wondering how to differentiate your hotel from all the others. Perhaps you have seen that most hotel websites all say the same sort of thing: “Best Family Hotels”, “The ideal Romantic Getaway”. It’s all platitudes and it just does nothing for your business. My book and the bonuses will help you see through platitudes and show you how to dig deep to find the true “why” that makes you special. There is an entire section on how to create the right message and how to create hot buttons that will inspire and engage guests. Marketing travel is all about selling the vision and the dream. Features and Benefits are for the text books, not the imagination. They alone do not tell stories or motivate buyers. You do need to ask yourself: What is our Hot Button? It’s got to be an activator, that is, something that will get attention – something that is Familiar, Unusual or Problematic that is also important or relevant to them. Of course, different people have different hot buttons, which is fine because your market is made up of those who will love the difference you are setting up. In the book we demonstrate with a small villa resort that discovered that the people who loved the resort were independent-minded travelers who did not want to be with the crowd. The hot buttons had a few variations but all were about “holidays without crowds”. That hits on the main problem that their clients wanted to avoid. If you can solve a problem and articulate that clearly to your market, that is a hot button. Y ou are going to discover all the traditional website strategies, like how to optimize for SEO, blog for travel, optimizing for mobile, etc. 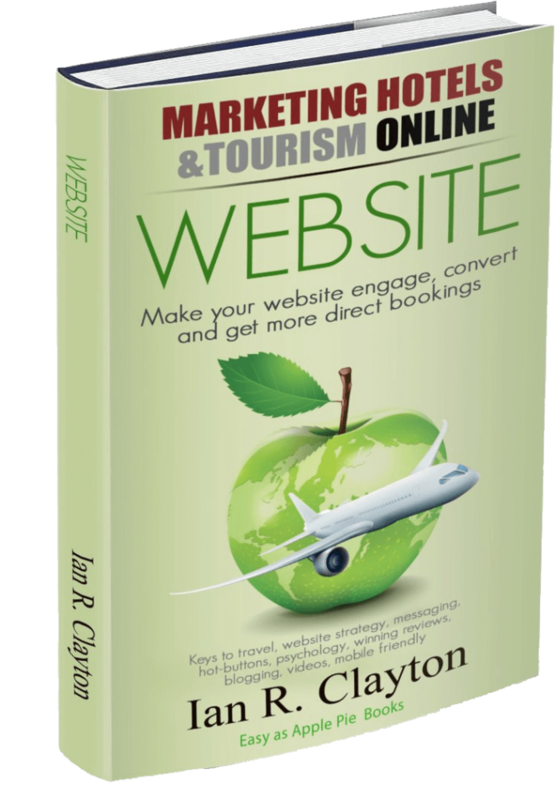 But this book starts a journey that will explore the website messaging strategy that you need to build to get the benefit of the books following that deal with Digital Media and Technology. The techniques shared are not common practices. We don’t talk about design but about messaging and strategy to carry that message across your website, building on your unique opportunities and your mission. Here is the latest Press Release as published on Wall Street Select. 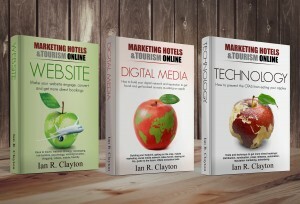 We also got picked up by Travel Weekly and 300 media outlets – It’s available in Kindle Digital Format and paperback.